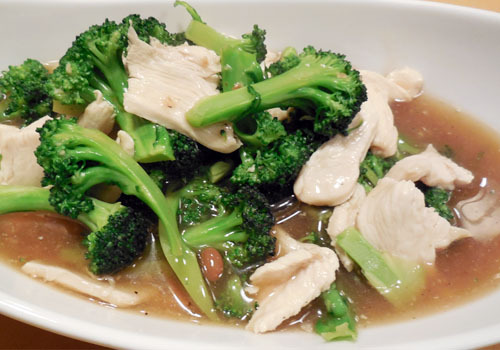 SERVED WITH YOUR CHOICE OF CHICKEN,BEEF,PORK,TOFU, OR MIXED VEGETABLES. 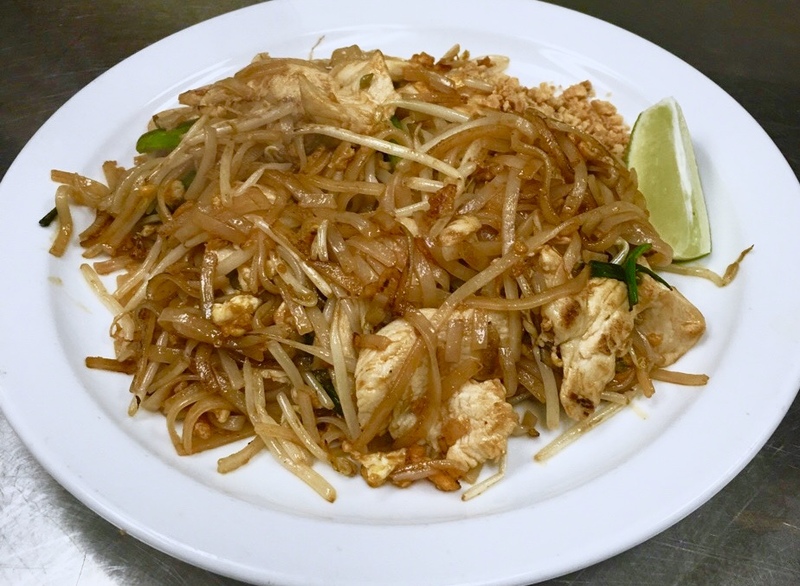 (SHRIMP: ADD $2.00/SEAFOOD: ADD $4.00) Medium rice noodles stir-fried in our house tamarind sauce with egg, bean sprouts and green onions topped with ground peanut. 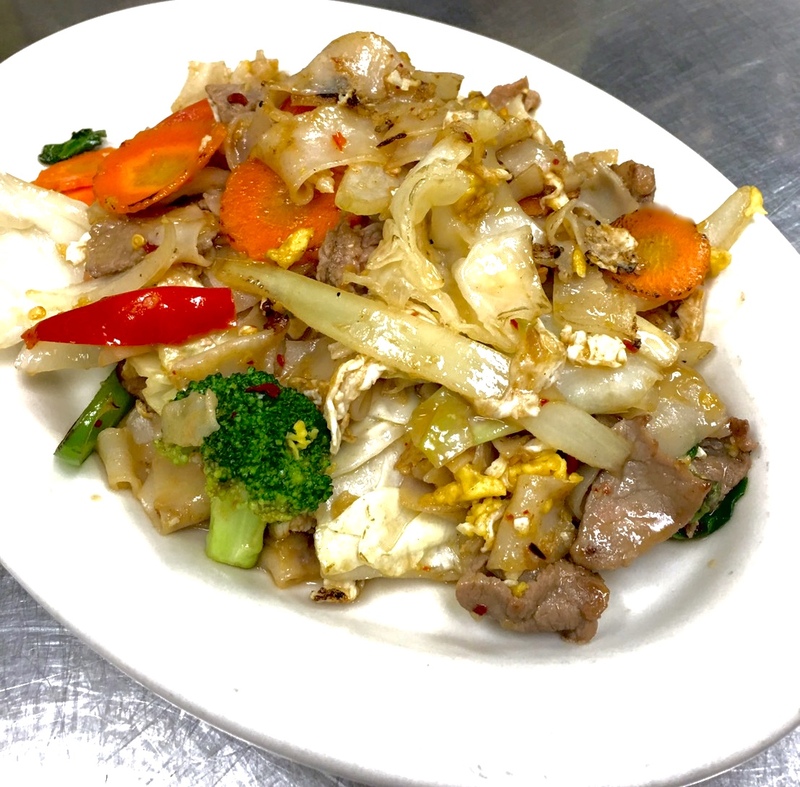 (SHRIMP: ADD $2.00/SEAFOOD: ADD $4.00) Fresh wide rice noodles stir-fried in our house sauce with egg, carrots and broccoli. (SHRIMP: ADD $2.00/SEAFOOD: ADD $4.00) Fresh wide rice noodles stir-fried in our house sauce with egg, bell peppers, carrots, onions, tomatoes and basil leaves. 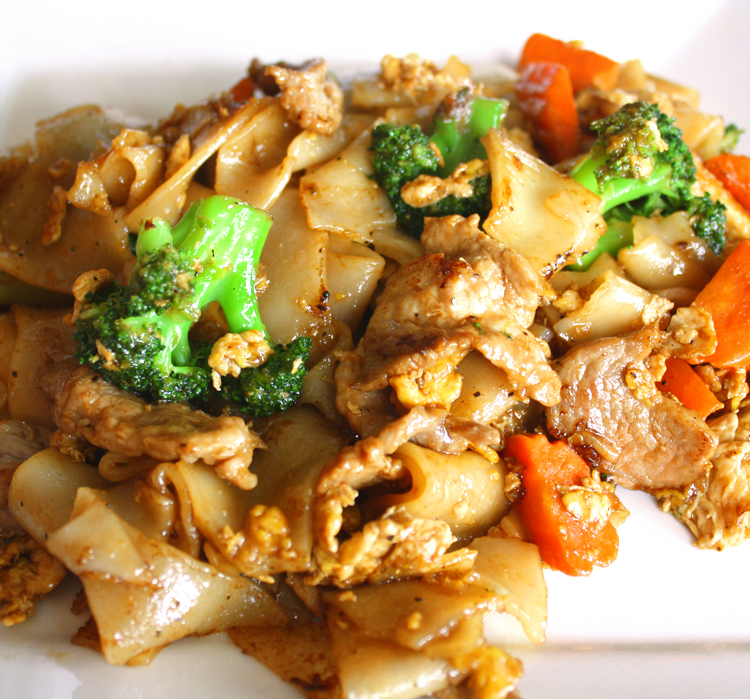 (SHRIMP: ADD $2.00/SEAFOOD: ADD $4.00) Pan-fried wide rice noodles with egg topped with our house gravy sauce served with broccoli. 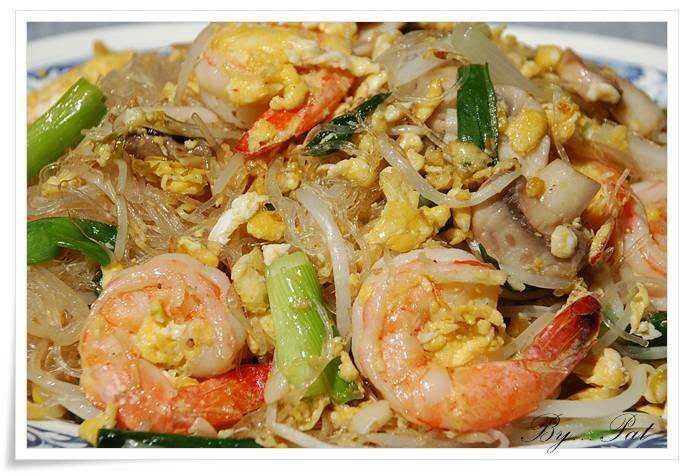 (SHRIMP: ADD $2.00/SEAFOOD: ADD $4.00) Thin glass noodles stir-fried in our special house sauce with egg, mushrooms, bean sprouts, celery, onions, carrots, cabbage and tomatoes. 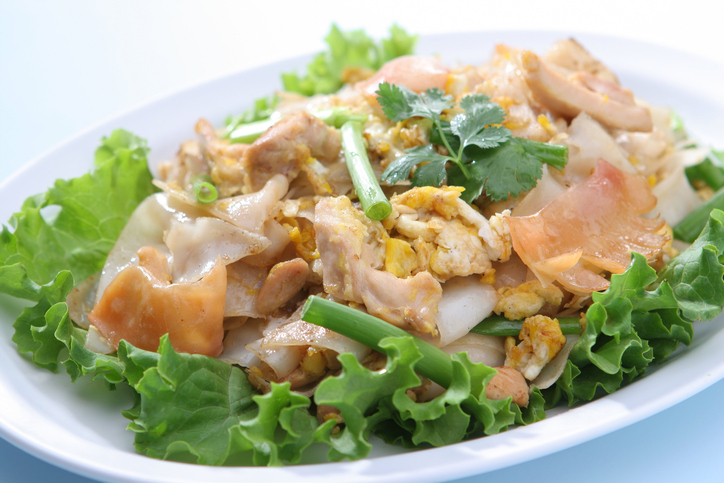 Fresh wide rice noodles stir-fried with egg, ground chicken and bean sprouts in our special house sauce on fresh lettuce.